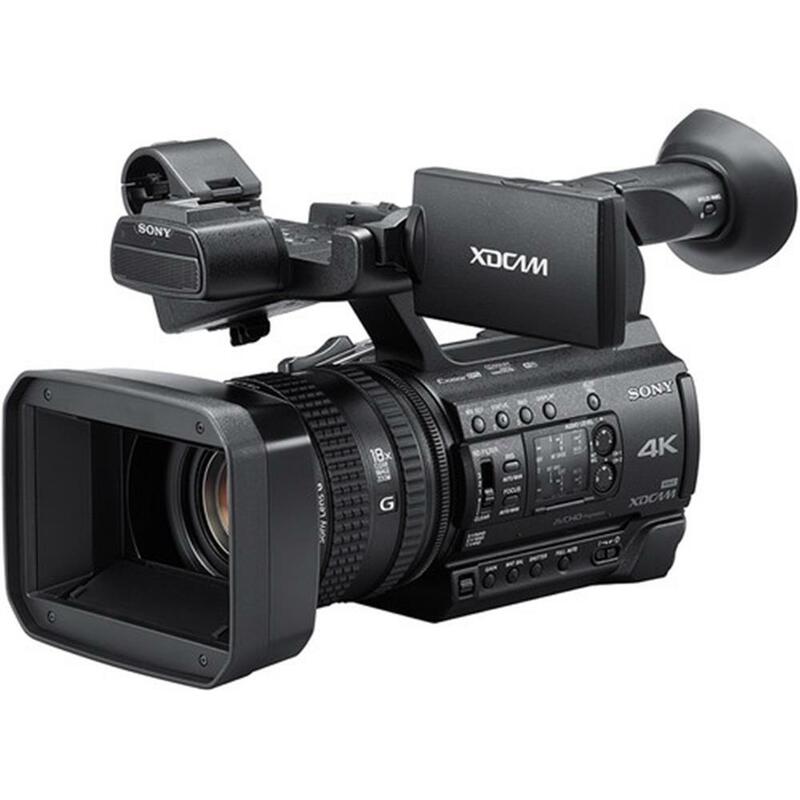 The Z150 is the world's first professional camcorder to feature a 1.0 type stacked CMOS image sensor. This breakthrough in sensor integration delivers a 2x increase in read-out speed compared to a conventional 1.0 sensor for stunning 120fps slow motion in Full HD and spectacular 4K recording. Full pixel read-out helps realize the full potential of the big 1.0 type sensor - there's no need for pixel binning or line skipping which can result in moire effects. To maximize the quality of your images, the Z150 has a stunning optical 12x zoom lens that offers high resolution and contrast across the entirety of the image. Sony's advanced Clear Image Zoom feature doubles magnification to 18x when shooting in 4K QFHD and 24x in HD, to fully exploit the imaging capabilities of the Z150's large 1.0 type stacked sensor. 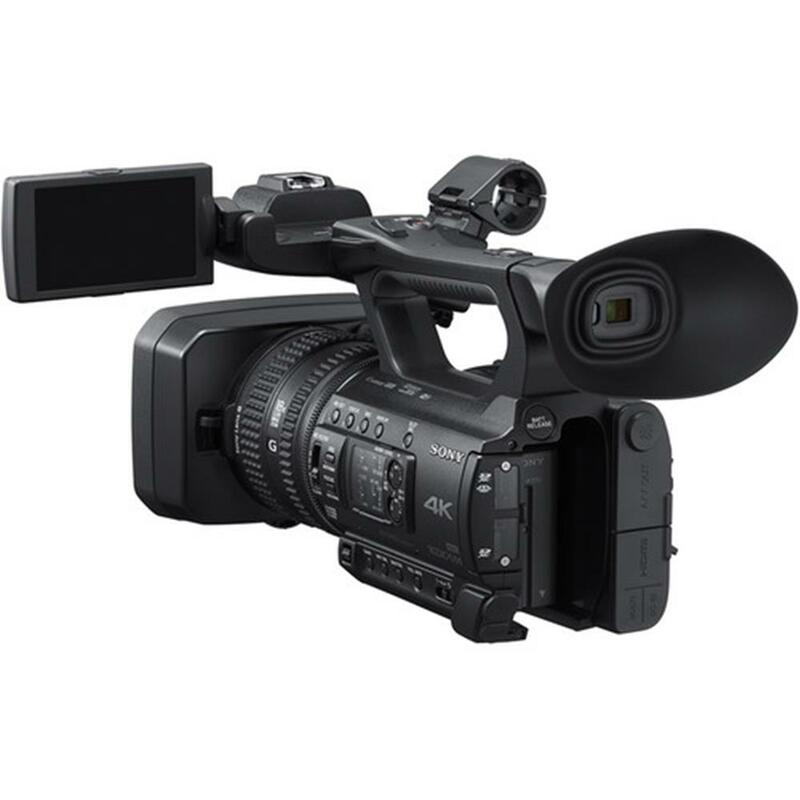 The Z150 transforms expectations of what's possible with a handy camcorder so you can be confident using it for almost any application. This includes up to 120 frames per second (fps) High Frame Rate continuous recording in Full HD quality, delivering beautiful 5x slow motion. Stunning 4K picture performance is supported with 4K XAVC Long GOP at 100Mbps, while integration with established broadcast workflows is simplified with Full HD recording in XAVC Long GOP (4:2:2/10bit 50Mbps) and MPEG-2 HD (50Mbps/35Mbps). You can even use AVCHD to further expand workflow flexibility. However you want to shoot, the Z150 delivers. The Z150 isn't simply a compact, lightweight design - it also integrates advanced features to reduce the need for bulky accessories that slow you down. A built-in four position ND filter means no need to carry a box of filters, MI Shoe eliminates cabling when fitting a microphone or even light. Advanced networking capabilities include built-in Wi-Fi for live streaming and FTP wireless connection*, greatly increasing your mobility, while the camcorder can also be easily controlled by a smartphone or tablet using Wi-Fi remote. Every last detail has been thought of - including power efficiency to deliver a remarkable 400 minutes** continuous recording time. 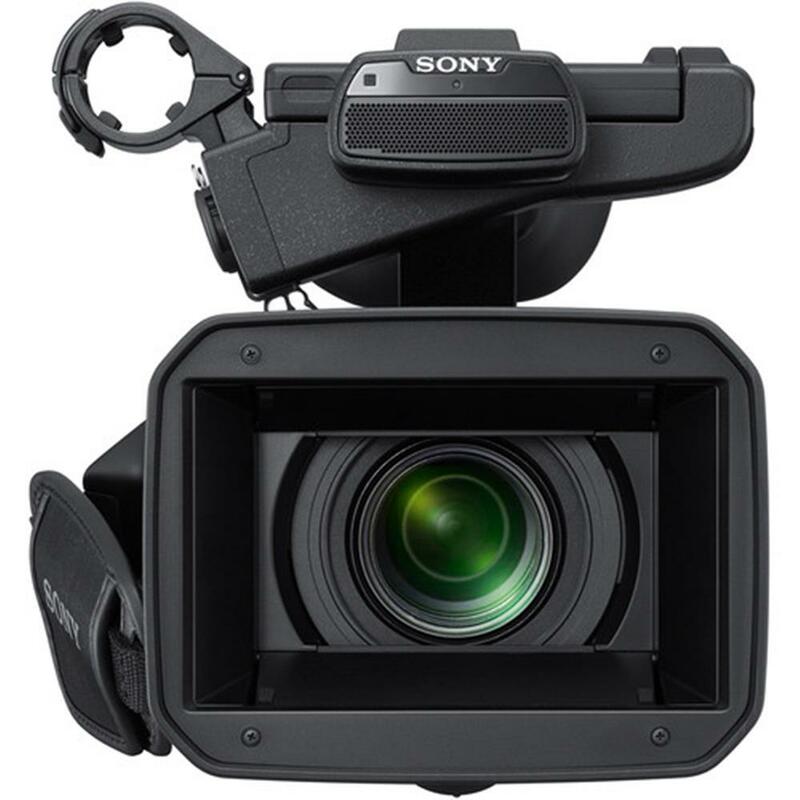 To deliver imaging performance previously impossible for a compact camcorder, Sony has developed the world's first 1.0 type stacked CMOS image sensor for professional video applications. A 2x increase in read-out speed, compared to a conventional 1.0 type sensor, enables beautiful 5x slow motion image capture up to 120fps in Full HD and high resolution 4K recording with full pixel readout without binning. The Z150's single 20 megapixel* 1.0 type large size sensor gives you low noise and less blur because more light reaches the sensor, offering clear and steady pictures even in a dark scene with minimum illumination 1.7 lux**. The large sensor size also enables beautiful background defocusing (bokeh) to enable you to focus on what you want to show and defocus the rest of the image. * 14.2 million effective pixels. 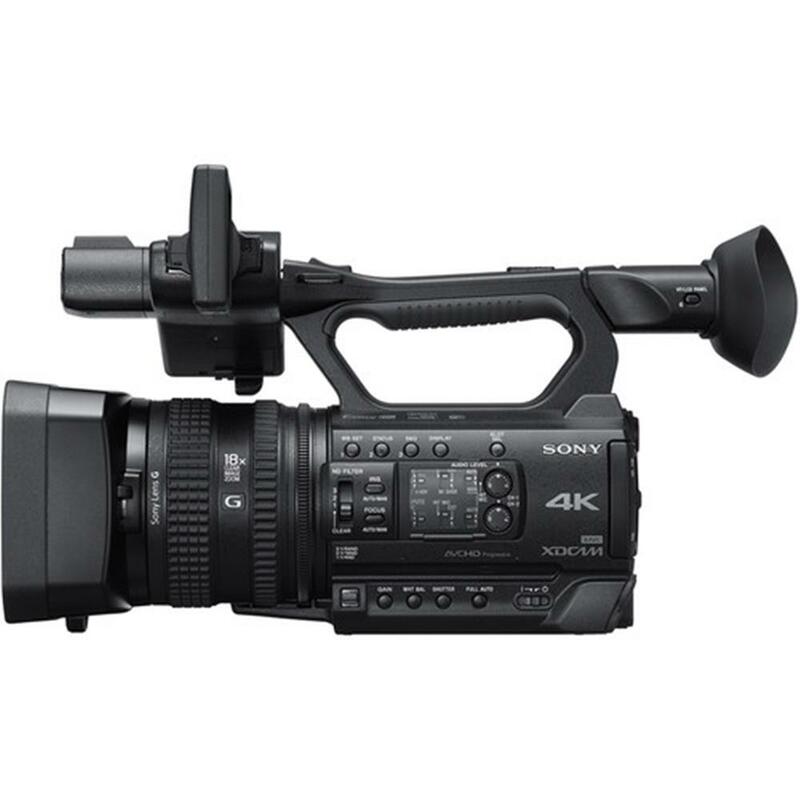 The Z150 is designed to provide true broadcast quality performance for both 4K and Full HD productions, recording with the advanced XAVC Long GOP 100Mbps codec for brilliant 4K QFHD imagery and flexible workflows. XAVC Long's higher bit rate produces outstanding images with more details and less noise to create the number one 4K picture quality in its class. For even more flexibility in workflows, the Z150 is switchable between PAL and NTSC operation. 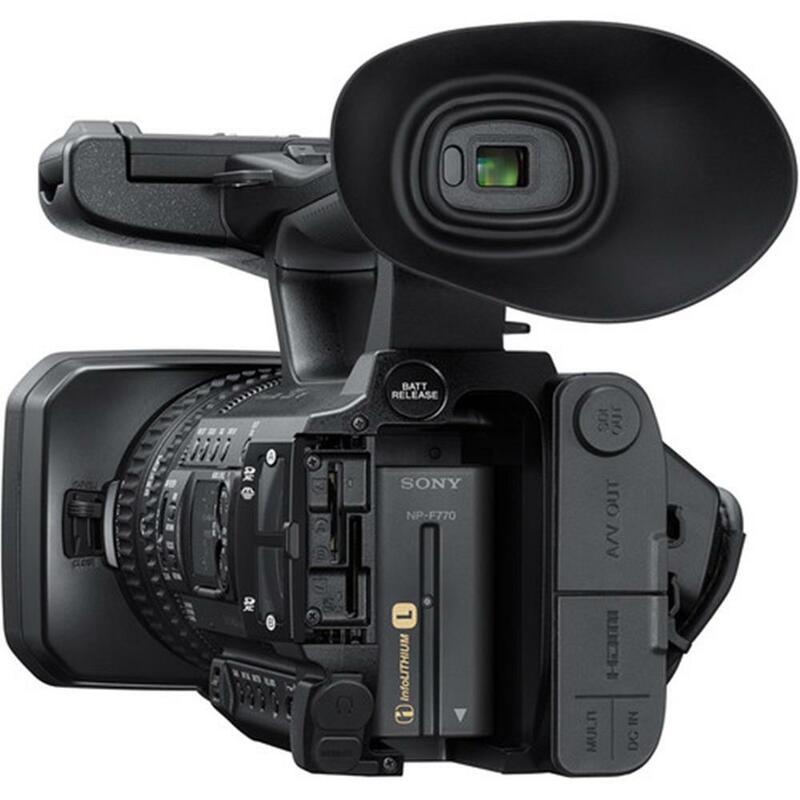 High Frame Rate shots can turn everyday actions into slow motion ballet and the Z150 delivers up to 120 frames per second (fps) in Full HD, giving you a maximum of 5 times slow motion expression. There's no sacrifice in bit depth and no "windowing' of the sensor. So there's no crop factor, no loss in angle of view. A high quality 29-348mm wide-angle lens with 12x optical zoom makes it easy to capture even the most expansive landscape scenes while also offering superb clarity and sharpness - maximizing the performance of the Z150's large 1.0 type sensor and providing high resolution and contrast from the centre to the edge of your image. Getting close into even the most distant scenes is further enhanced by Sony's advanced Clear Image Zoom feature. Once you've zoomed in at maximum 12x optical magnification, By Pixel Super Resolution Technology can enlarge the image to 18x in 4K QFHD or 24x in HD, while still preserving image quality. The Z150 has advanced networking capabilities that give you more mobility in your work - FTP files directly from the camcorder or live stream from any event using built-in Wi-Fi features with no accessories required. Sony's unique QoS technology* dramatically improves the clarity that's possible on a wireless connection, giving you better pictures even with the limitations of today's real-world networks. 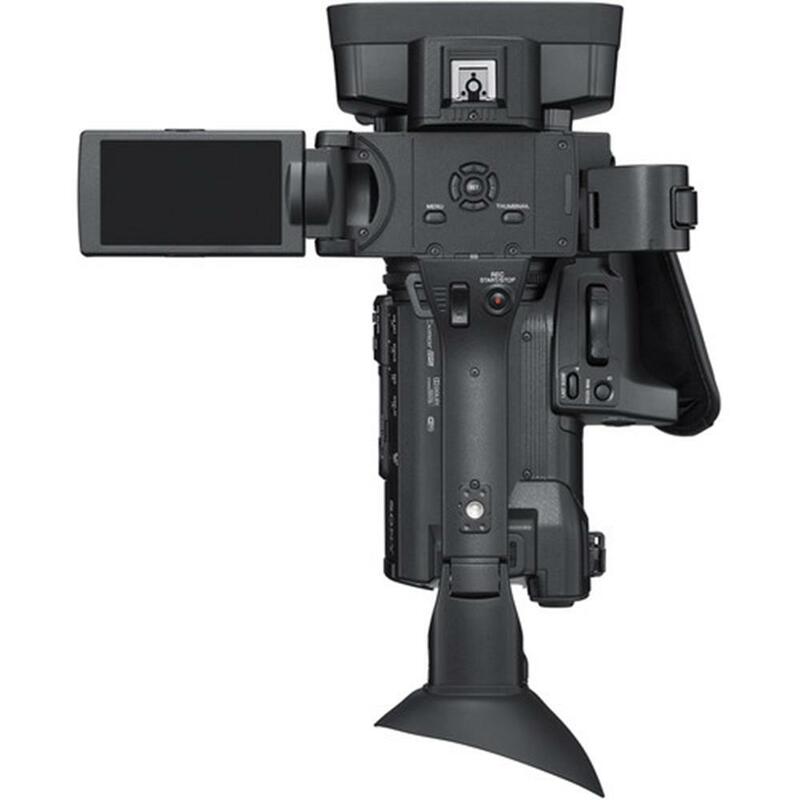 You can also remotely control the PXW-Z150 with a smartphone or tablet, including the ability to adjust settings such as focus, zoom, iris, white balance, REC START/STOP and more using Sony's Content Browser Mobile** software. ** The Content Browser Mobile application can be downloaded from the Google Play Store or App Store. "RELAY" mode automatically switches recording from the first to the second memory card when the first is full, while "SIMUL" mode permits simultaneous recording to two memory cards (for example to create an immediate back-up version). 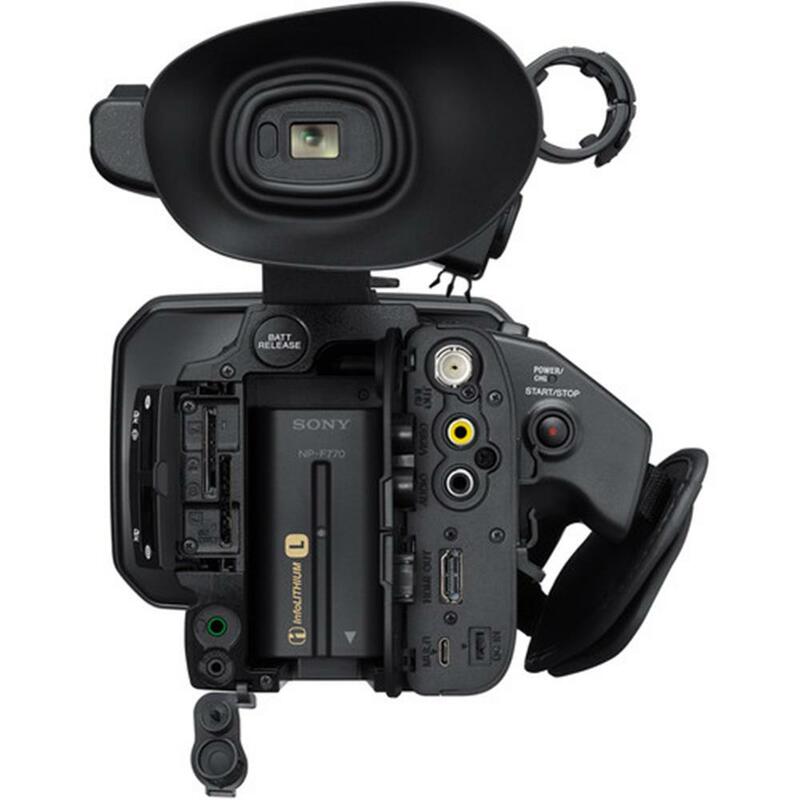 The Z150 takes advantage of Sony's flexible Multi-Interface (MI) Shoe, which provides power, signal connections and coordinated on/off switching to compatible Sony accessories. For example, you can connect and control Sony wireless microphone systems such as the UWP-D11 or UWP-D12 or attach the HVL-LBPC light*. * All sold separately. HVL-LBPC is controlled but not powered by Z150. 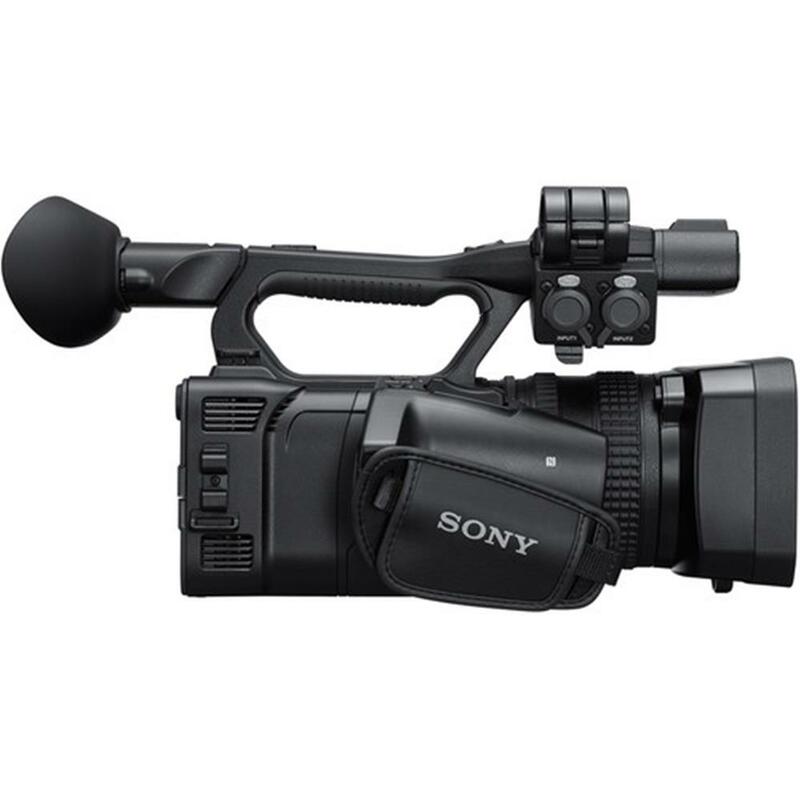 There's no need to worry about adapters as the Z150 provides a wide variety of built-in connectivity options including 3G-SDI, HDMI, Multi/Micro USB, professional audio XLR terminals, REMOTE and Composite (RCA). 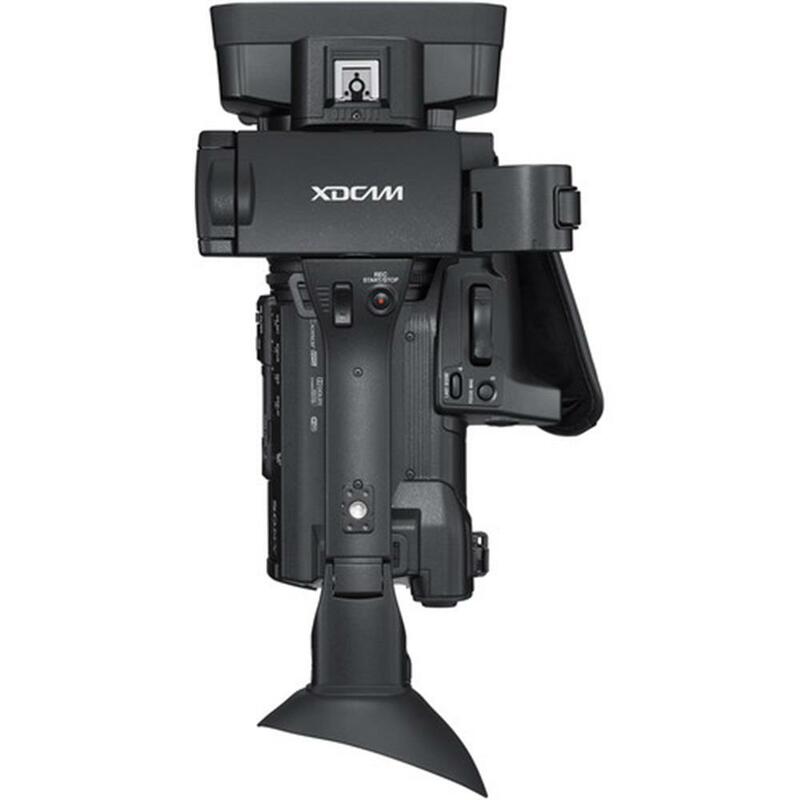 A supplied Sony cold shoe adaptor kit provides you with more flexibility for mounting accessories.